There is a formula to guide your prospects through the sales funnel in order to turning them into actual customers, and it’s called Email & Automation Marketing. 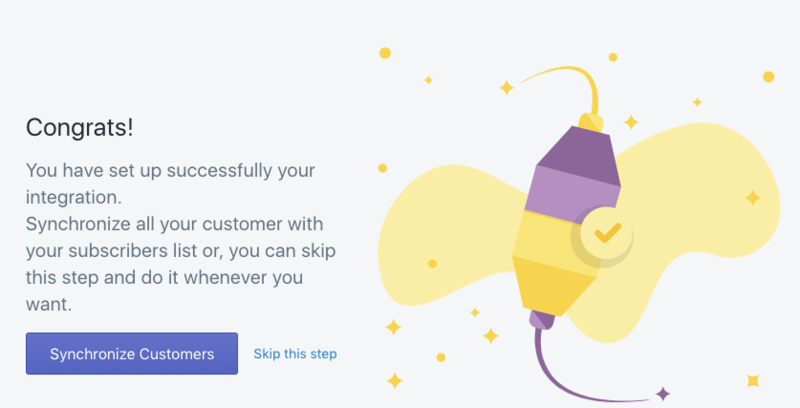 In this post we’ll explain step by step how to integrate your Shopify E-commerce with Doppler so that all the contacts you generate on your online store will automatically be sent to a Subscriber List. Once there, you can send them Email Marketing Campaigns or associate them with automated Email flows. Your results will improve significantly! To begin, enter here, write the URL of your store and click on “Install”. Log into your store typing your Email and password. Go to the bottom of the page and click on “Install unlisted app”. Do you already have a Doppler account? Click on “Connect existing account”. If you don’t have it, click on “Sign up for free” and complete the form to register. 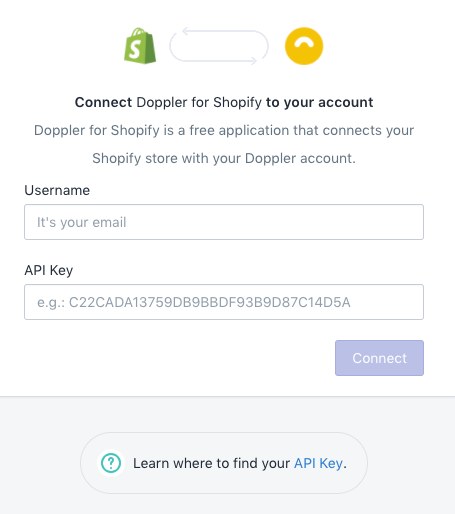 To connect both platforms, enter your Doppler username and the API Key. Keep in mind that to obtain this information you must have a paid account. Choose the Subscriber List to which you want to send the contacts of your store. If you haven’t created the List yet, press the “Create new List” button. It’s time to map the Custom Fields! That means you must add those fields whose data you want to be imported into Doppler. For example, the address of your customers or their birthday. 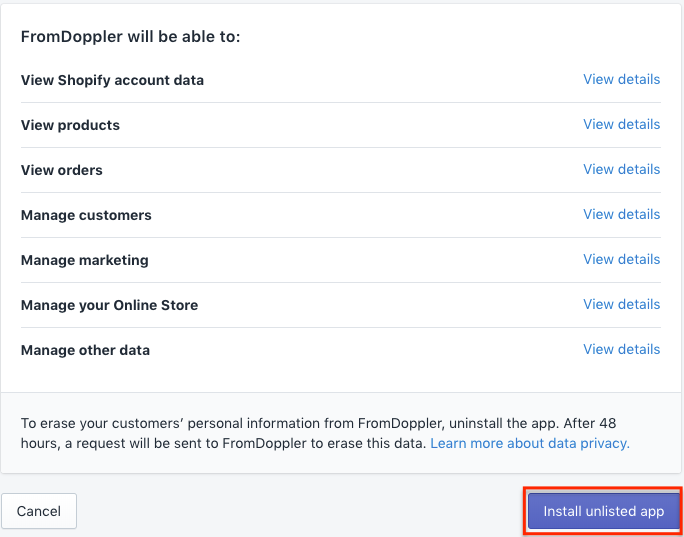 Keep in mind that each field you want to map must be previously created in both platforms: Doppler and Shopify. The next step is to synchronize the data, that is, to send it from Shopify to Doppler. Then you’ll access a panel from which you can edit any of the previous steps. That’s all! 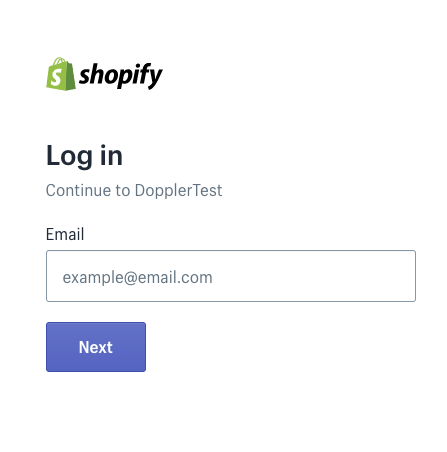 You already have your Doppler and Shopify accounts integrated and your contacts synchronized. Now the only step remaining is to create your Campaigns and automated Email flows to turn your Subscribers into loyal customers.